If you ever have the chance to visit method or talk to one of its employees, one of the first things you might notice is a heightened level of passion that its employees have, not only for products they create, but also the values they share. Values like sustainability and environmental stewardship to name of a few, but also social responsibility. So striking is this notion of doing good that a small group formed (informally at first) around the idea of identifying charities to which we as an organization could give. The group became known as Ecomaniacs (a slight misnomer since many of our projects are oriented around social good, not just eco-intiatives). 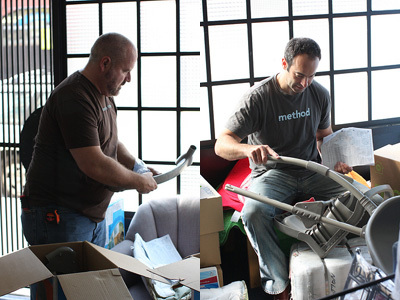 Last week, the method Ecomaniacs set out to sponsor a volunteer day around cleaning up a local Compass Community Services family shelter. 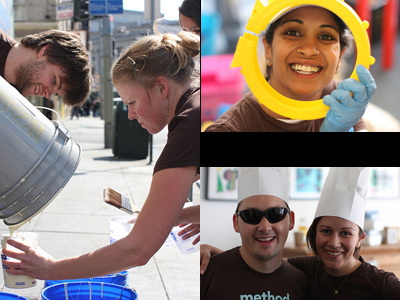 Compass is an organization in San Francisco which provides emergency shelter for homeless families for up to 6 months until permanent housing can be found. 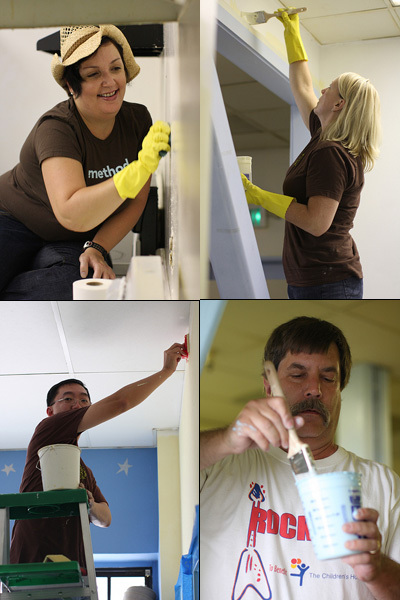 So, 46 method people against dirty shut our laptops and took a day to clean, repaint and even install some new furniture at the Compass shelter. We did leave a skeleton crew back at the office because, well... someone’s gotta mind the fort. After a long, rewarding day of hard work, we realized that every now and again it’s good for a soap company to get its hands a little dirty. What's so smart about Smarty Dish, anyway? 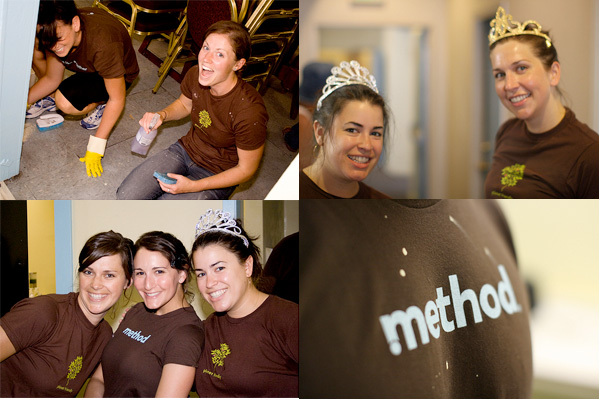 Here at Method there’s a bunch of stuff we like: happy hours, pretty colors and smells, innovative ideas … the list goes on. And as you know, there’s also stuff we don’t like. Phosphates and chlorine bleach are two of those things. They are also two ingredients – especially phosphates – that a lot of other companies include in their dishwasher detergents. When we introduced you to Lil’ Bowl Blu, our toilet bowl cleaner, back in February, we told you a little bit about phosphates. Phosphates in our water supply contribute to algal blooms, which deprive fish and other water dwellers of needed oxygen. That’s dirty. Two counties in Washington banned the use of phosphates this year, with the rest to follow in 2010, and many other states are looking into the issue as well. And speaking of smart, Smarty Dish passed quite a few tests before we decided that it made the grade: A third party confirmed for us that it cleans as effectively as, and sometimes even better than – the leading brands for many tough-to-crack stains. It’s also been approved by the EPA’s Design for the Environment program, which we told you about here. 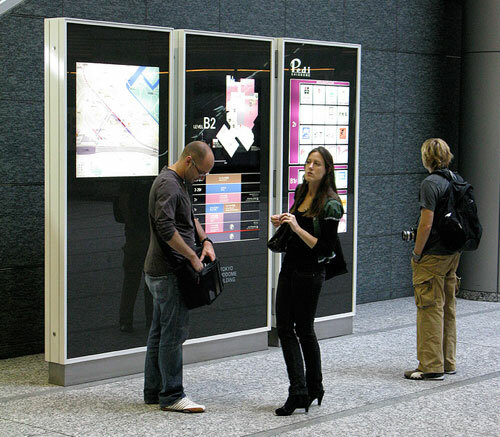 The container is made of 25% recycled content and is 100% recyclable. One test it didn’t pass, we have to admit, is animal testing. But that’s because we just don’t think that’s nice. 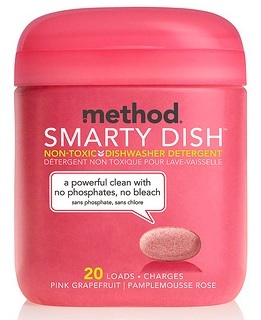 Look for Smarty Dish at your local retailer (and available mid-September on methodhome.com), and let us know what you think! Traveling is great. Traveling to Japan is even better. Here's the creative team trying to figure out where we are and where method is going. This trip was great inspiration for how we can do things better, smarter and while completely sleep-deprived. Stay tuned for some of our finds and how they turned into product ideas.